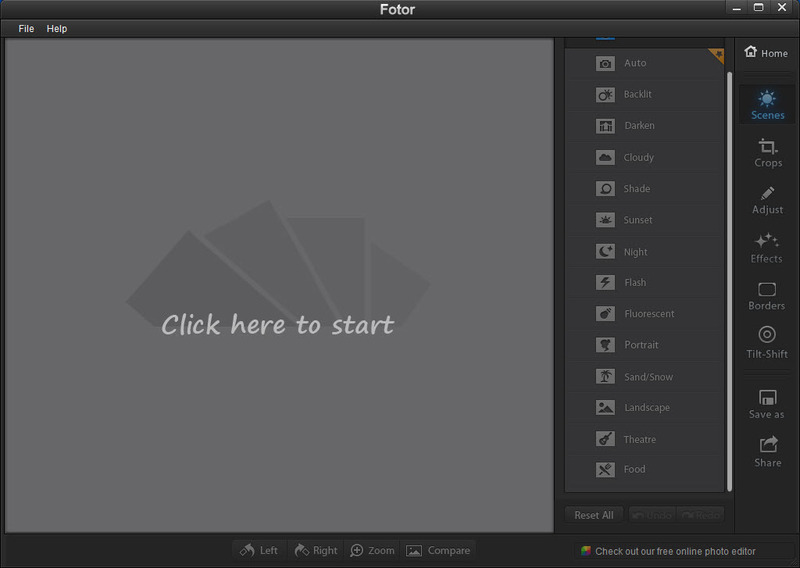 Fotor is a free photo editor tool for web, windows, mac android and ios. Add a photo effect, photo frame, clip art, text, or color splash, mosaic, and tilt shift tools. Resize, crop and rotate the photos. Adjust the lighting curve,brightness, contrast, saturation,sharpness,the tone and colors. Collage maker – turn your album of photos into a neat and organized collage. Photo Card Maker – Turn your photos into fun greeting card.